March 29 (UPI) — “Star Trek” alum Terry Farrell is a married woman. The 54-year-old actress, who played Jadzia Dax on “Star Trek: Deep Space Nine,” tied the knot with Adam Nimoy, the son of late “Star Trek” actor Leonard Nimoy, Monday in San Francisco. 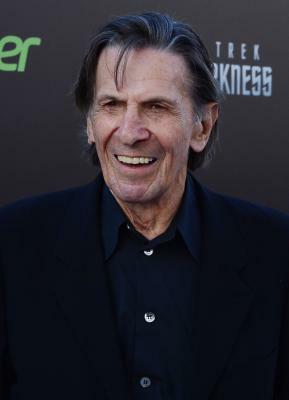 Leonard, who portrayed Spock in the original “Star Trek” series and several movies, died at age 83 in 2015. Farrell and Nimoy married at City Hall on what would have been the actor’s 87th birthday. “Adam Nimoy & Terry Farrell got married today at a civil ceremony at City Hall in San Francisco,” film critic Scott Mantz announced on Twitter alongside a photo of the couple. “Today is the birthday of Adam’s father #LeonardNimoy! Big congrats to the happy couple!! #LLAP #StarTrek,” he added. Farrell later updated her Twitter profile to read “Mrs. Adam Nimoy.” She thanked her followers for their well-wishes in a tweet Tuesday. “A great big heartfelt Thank You to you all!!! We really appreciate your lovely well wishes to us!” the star wrote. A great big heartfelt Thank You to you all!!! We really appreciate your lovely well wishes to us! Farrell and Nimoy, who were both married previously, confirmed their engagement in August. The actress has a son from her first marriage, while Nimoy shares a son and daughter with his ex-wife.